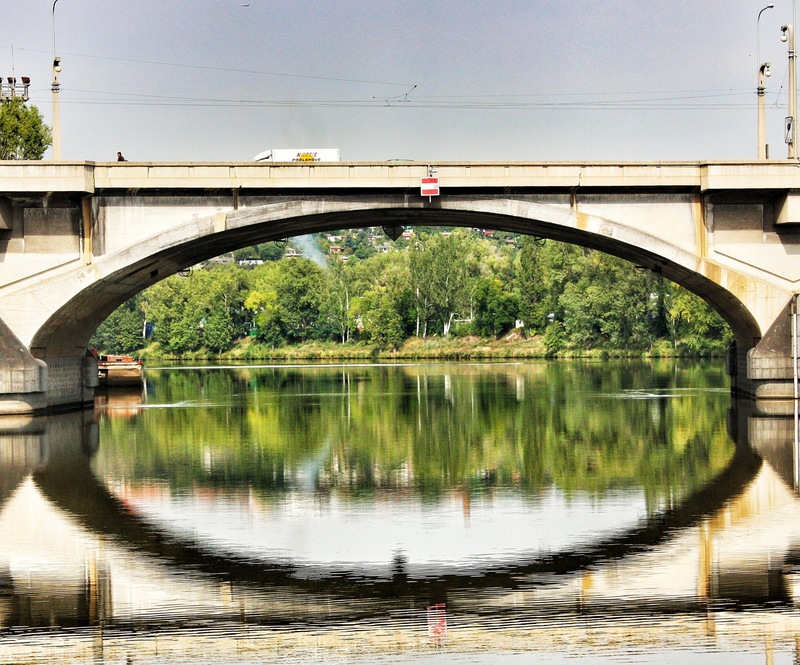 Reflections from a bridge over the Vltava River in Prague, Czech Republic. Travel safe. Have fun.